• Responsible for all phases of the design cycle (specification, modeling, RTL, verification, synthesis, timing closure, vector generation and simulation, lab testing, layout support and documentation). • Front-end tools experience (Synopsys, Cadence and/or Mentor’s) and flow experience are highly desired including verification, simulators, synthesis, STA, back-annotation and gate simulation. • Experience with backend tools and flow and floorplanning or with coordinating with the backend team is essential. • Experience with DSP algorithms and building blocks is a strong plus. 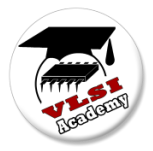 • Hands-on experience with scripting (csh, Tcl/Tk, Perl,… etc). • Ability to work with global, cross-functional teams. • Having project management skills is a plus.